A fly fisherman stands in sparkling Turquoise river winding through Majestic Purple and Meadow Green hills. 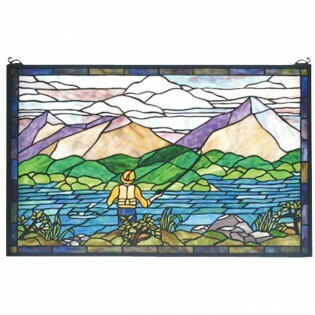 This panoramic scene is handcrafted of stained art glass. 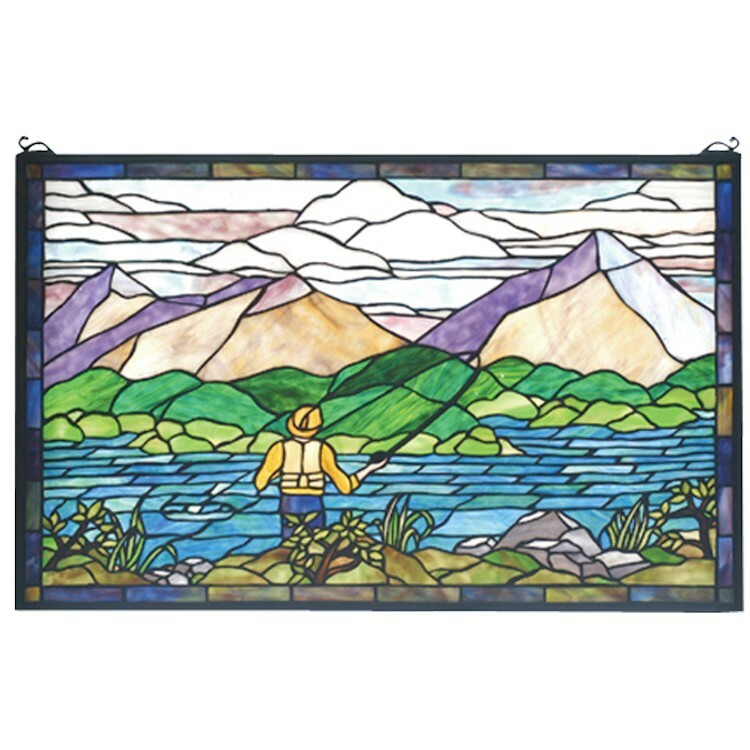 The Original Fly Fishing Stained Glass Window design is framed in solid brass.